Alessandro Giardini entered St. Charles Borromeo Seminary right out of Bishop Shanahan High with the intention to let his friends "know God and how much he loves them.” Learn about the young man to be ordained priest on May 18. 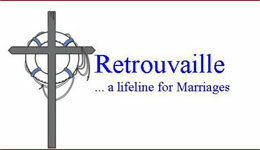 Archbishop Chaput’s 3-year initiative for the renewal of marriage and family life in the Archdiocese of Philadelphia. Learn more at archphila.org/remain. 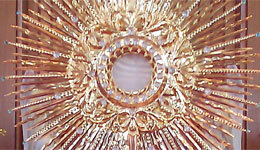 Gifts made to the Catholic Charities Appeal support close to 180 ministries and programs. 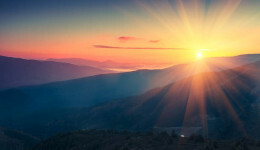 This retreat is Wed., May 1, 2019 at Malvern Retreat House. Fr. Willum Gillum, O.F.M.Cap. 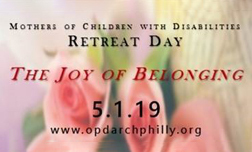 will direct a retreat for mothers and grandmothers who are raising children with disabilities and those who have adult children with disabilities. Click here for more information. With 141 schools across five counties, find a school that is right for you. 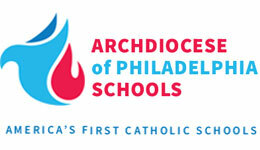 Explore the Archdiocese’s Elementary, Secondary, Special Education and Early Childhood Programs. 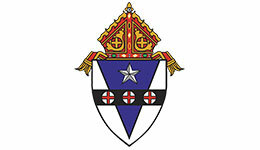 For copies of current audited financial statements for entities of the Archdiocese of Philadelphia as well as information about the Archdiocesan Finance Council and parish financial policies, please click here. 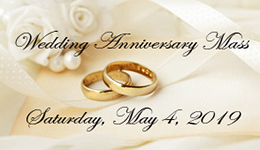 Saturday May 4 2019, 5:15 PM Anticipated Mass • The annual Wedding Anniversary Mass is celebrated for couples in the Archdiocese of Philadelphia who have been married 1-5 years, married 25 years or more, and married 50 years or more. Click here to attend. 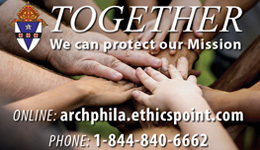 The Archdiocese has selected EthicsPoint to provide you with a way to anonymously and confidentially report actual or possible violations of financial policies. 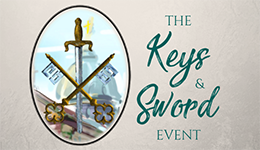 The Keys and Sword Event is the annual fundraising effort of the Cathedral Basilica of Saints Peter and Paul. This year’s event will take place on Friday, June 28th, 6:30 p.m. at The Logan Philadelphia Hotel. To learn more please visit http://cathedralphila.org/keys/. 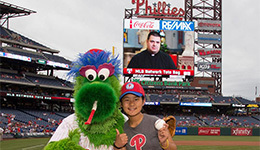 Plan a night out with family and friends and head down to Citizens Bank Park for Catholic Charities night with the Phillies on June 21st! 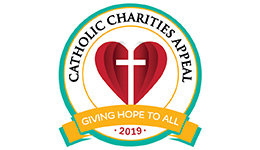 Enjoy a great night out while benefiting the Catholic Charities Appeal (CCA), the Archdiocese of Philadelphia’s largest annual fundraising initiative. To purchase tickets and for more information, please click here. The Office for Divine Worship offers workshops for lectors and ministers of Holy Communion that are designed to provide ongoing formation for this important liturgical ministry. The Retrouvaille Program consists of a weekend experience with 6-12 post-weekend sessions over 3 months. 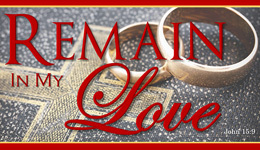 It provides the tools to help put your marriage in order again. The main emphasis of the program is on communication in marriage between husband and wife. 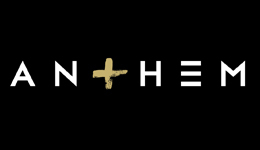 The Office of Youth and Young Adults for the Archdiocese of Philadelphia exists to reveal the real person of Jesus, to help people discover their identity in Him, and to assure everyone that they belong in His Church. Do you need help accessing services and supports for someone with an intellectual disability or Autism? 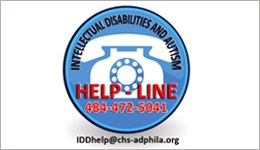 This convenient help-line can help families connect to disabilities services provided by the Archdiocese of Philadelphia. 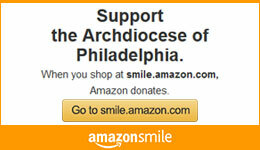 When you shop at AmazonSmile, Amazon will donate to the Archdiocese of Philadelphia. Support us every time you shop.